When Grandravine Tornadoes 4 were told they were playing in Baltimore they had to make sure that their GPS was set for Baltimore, Ontario – not Maryland. The host Northumberland Lions were great hosts resulting in an exciting game between one of the newest teams in SHI and the oldest. 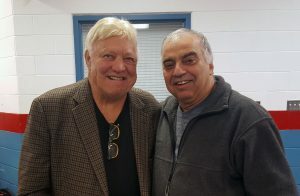 Bobby Hull with super fan, Joe Rizzuto. But the Lions had a surprise in store for everyone – Bobby Hull. 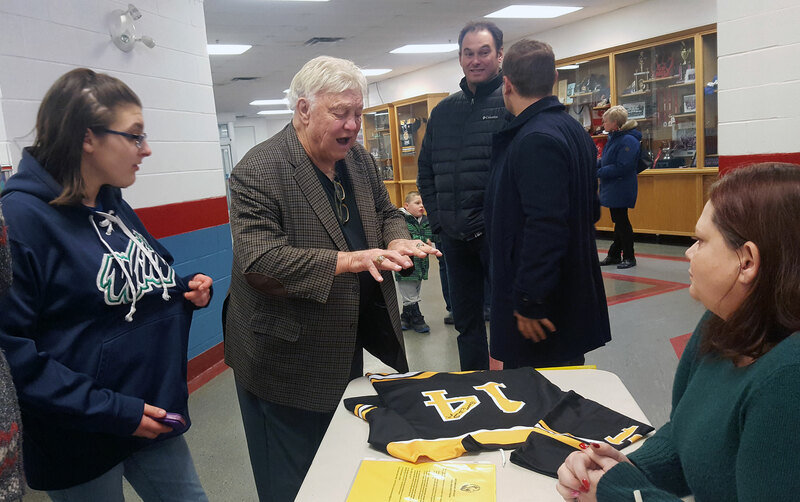 One of the greatest stars of the NHL, he took a little time out from his promotional tour to visit with our players. Everyone was thrilled to see him, none more so than our own, “mis-guided”, Black Hawks fan, Joe Rizzuto. The grin on his face said it all.